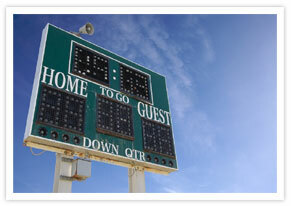 Sports Industry: Get the Easy Win with Our Email Marketing Tools. 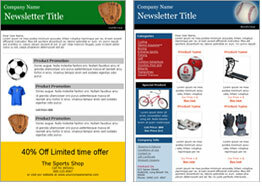 We'll help you field the right team for your sports industry newsletters. Catch new subscribers easily with our online sign up box on your website. Team Up with share buttons that put your newsletters on the social networks of your contacts. Bring your A game by including pictures and video in your newsletters. Email Newsletter Software easily and quickly produces powerful newsletters filled with advice, information and special offers. Autoresponders save time because they can send timed messages out for you automatically!